You haven’t seen Sydney until you’ve got your feet wet! There’s much more to Sydney than the Opera House and Harbour Bridge. Our city sits on the largest natural harbour and second busiest port in the world, so no visit is complete without a harbour cruise. 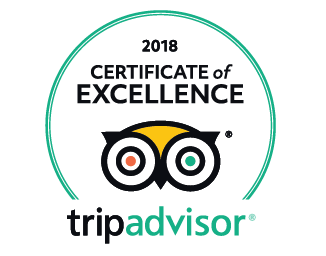 But at Sydney Harbour Boat Tours we do things differently, we give small groups authentic local experiences, going to places no other tour operators venture, while providing fascinating insights into our city’s history, nature and culture. Our guests see all the classic Sydney sights from the water, but we also visit the lesser known places where only locals go, and we’re the only boat operator in Sydney to land right on the beach, so you’ll definitely get your feet wet! We’ve been taking guests on the harbour for 8 years and have built a reputation for providing unique, personalised adventures of the highest quality (with hundreds of 5 star reviews and five consecutive TripAdvisor Certificates of Excellence). In 2019 we were awarded the prestigious TripAdvisor Hall of Fame and won Oceania Boat Tour of the Year at the International Travel & Hospitality Awards. We also care deeply about the places and environments we travel to. We’re part of the Australian Take 3 program, encouraging guests to take three small pieces of rubbish from the beaches they visit. We also work with NSW Parks & Wildlife to promote awareness and raise funds for the Manly Penguin Project, which helps protect the Little Penguins of Sydney Harbour National Park, which is one of the destinations we visit regularly. In 2019 we were honoured to become the only boat tour operator in Sydney to be awarded official EcoTourism certification by Eco Tourism Australia.